We only have 52 days to go until it's Christmas and most of us have been preparing for things to do during the holiday season. Some are planning to go out of the country, go to their home province and some prefer to go to places just near the area like me. 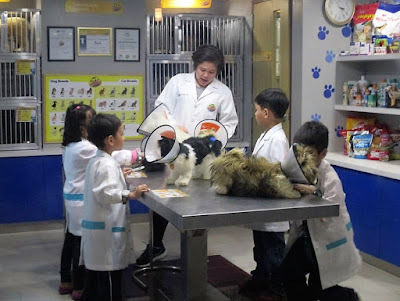 For this year, I am sharing with you 5 things that you can do or visit at Bonifacio Global City this holiday with your kids. 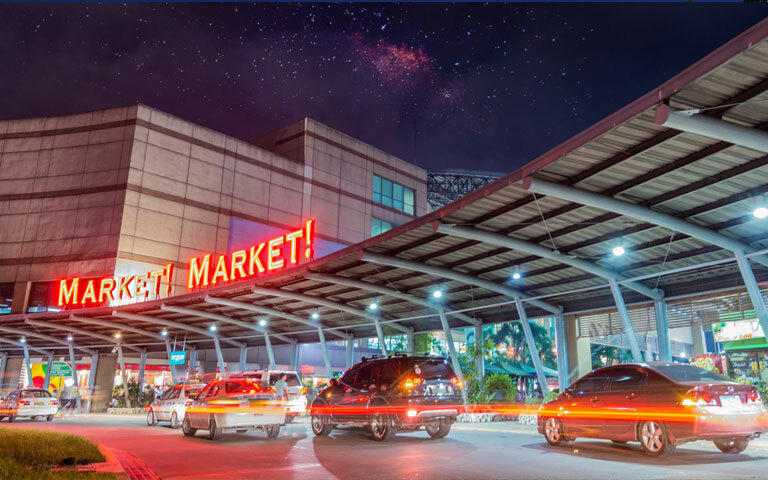 Staying nearby is not a problem too, since there are a lot of family-friendly hotels in Taguig that are perfect for staycations. I hope this will help not only to those living in the metro but also to our family and friends who are planning to visit Manila soon with their children. 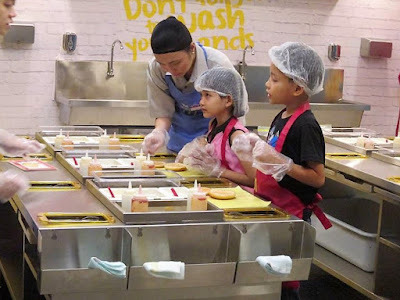 An indoor play city built to scale for children which opened last August 7, 2015. It is complete with paved streets, transport system, and a functioning economy. 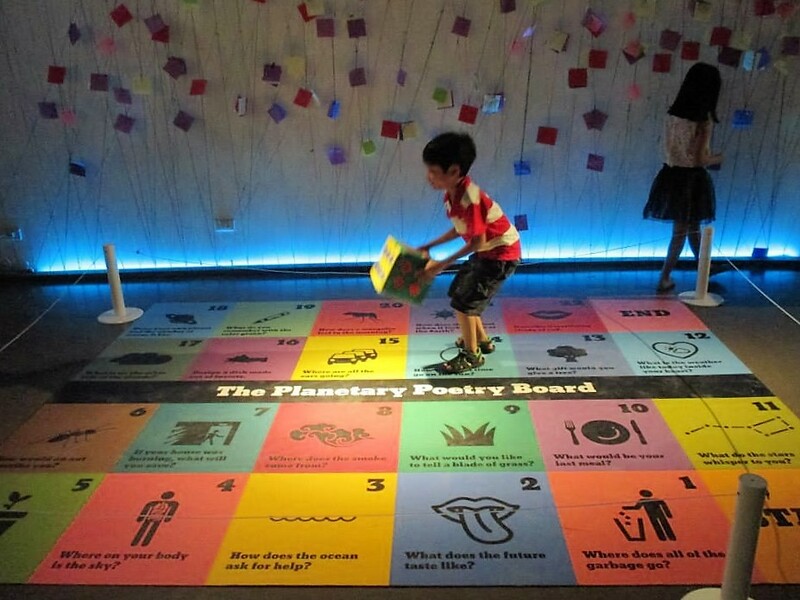 Children can explore their interests and learn life skills through over 70 immersive role-playing activities like pilots, broadcasters, firefighters, veterinarians, cooks, bakers, and much more. This is one of the places you should visit because I am sure your kids would never want to leave here. They can learn how to earn and spend their money wisely as they choose the roles they want to play. 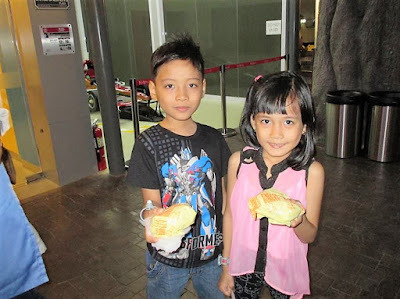 My kids went here thrice already and they still want to come back for more role-playing! KidZania Manila is located at Park Triangle, 11th Ave, Bonifacio Global City, Taguig. 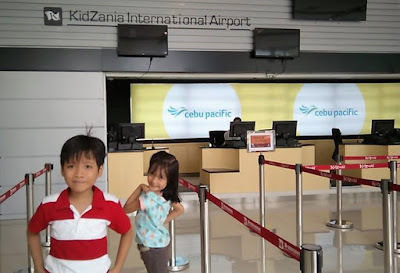 Check out my previous post when we first visited Kidzania Manila here. Crew Member - Kids prepare a burger recipe. Veterinarian - Kids will learn how to perform a check-up on a dummy dog. 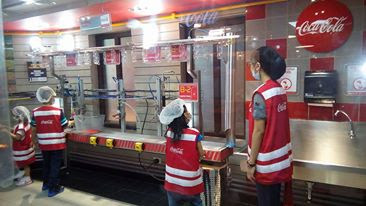 - Kids can learn about beverage bottling process and take home your own bottle. The Mind Museum where Science Comes Alive! is a project of the non-profit Bonifacio Art Foundation, Inc. 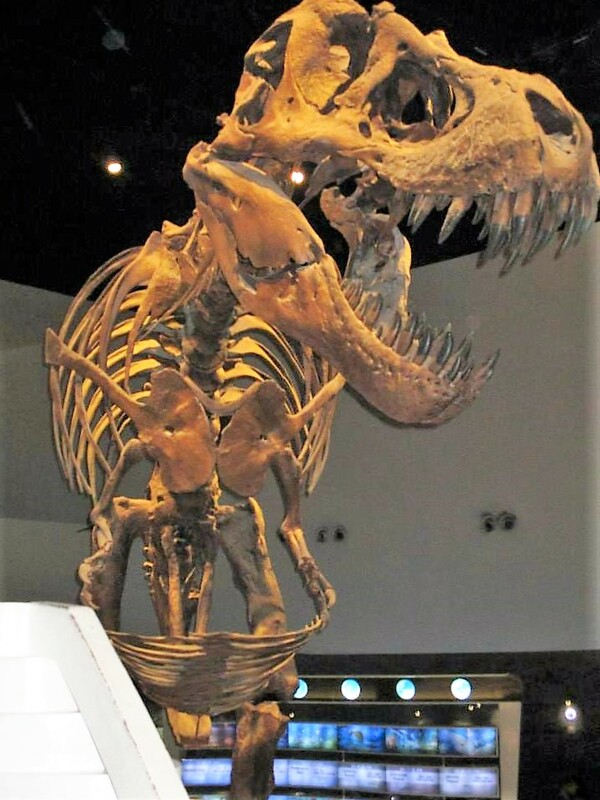 It is dedicated to providing an extraordinary educational experience that inspires the public understanding of science. The Mind Museum concept is uniquely Filipino because almost all the exhibits in The Mind Museum are originally designed by Filipino artists and fabricators who worked closely with scientists here and abroad to execute science principles or facts clearly and beautifully. 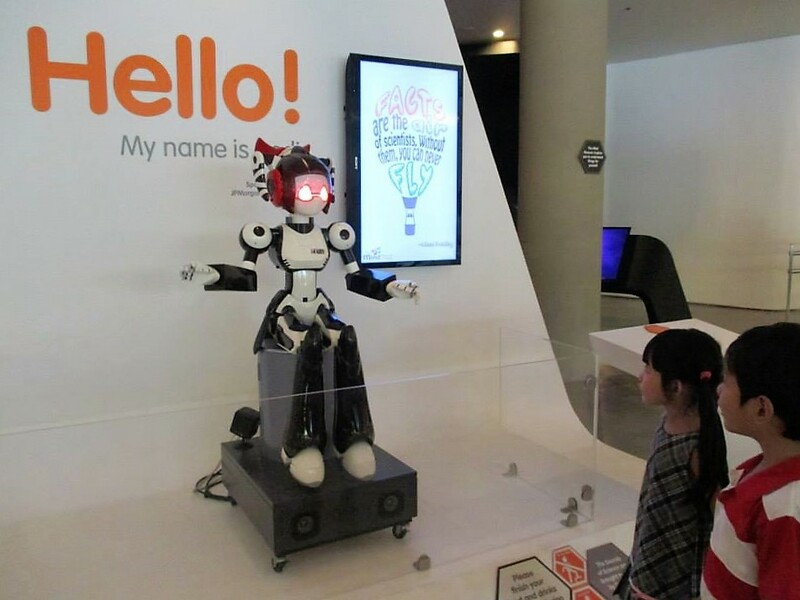 The exhibition takes off from a narrative that presents science in over 250 interactive exhibits through five interconnected stories. The exhibition spans nature in scale, from the smallest thing in nature to the largest and everything in between: Atom, Earth, Life, Universe, and Technology. 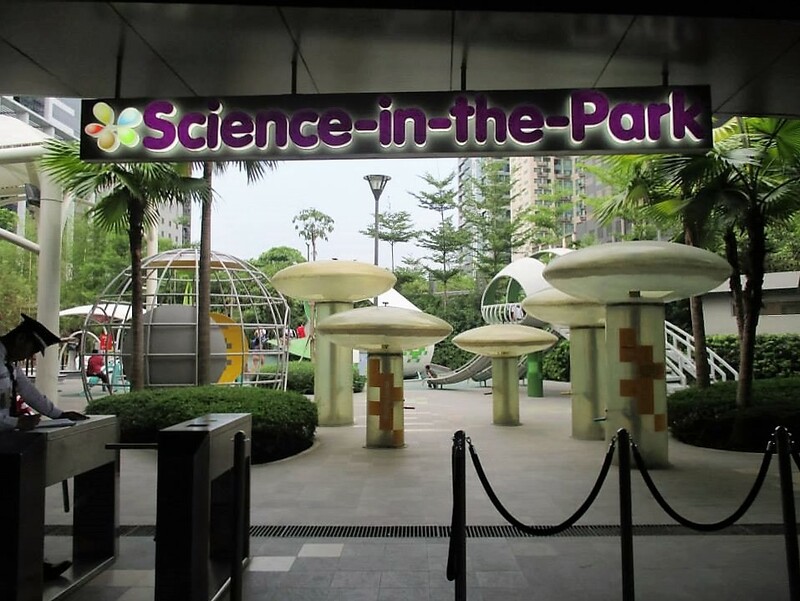 There are also two outdoor areas to continue discovery: Science-in-the-Park and the JY Campos Park where kids can play and enjoy. 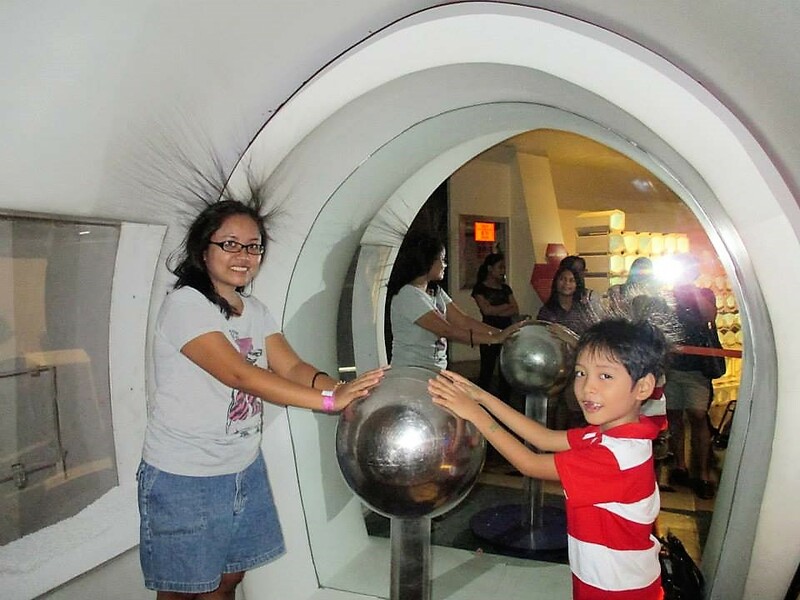 The Mind Museum is located at J. Y. Campos Park, 3rd Ave, Bonifacio Global City, Taguig. Nice to meet you, Aedi! Trying out the Van De Graaff generator. My son trying out one of the exhibits. Kids can play here at the Science in the Park. 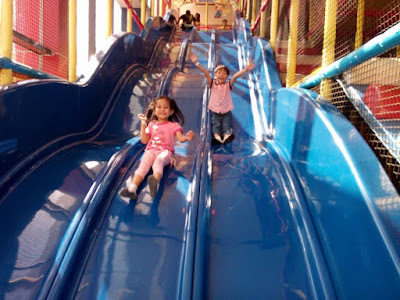 Another indoor play place you should try is Active Fun BGC. 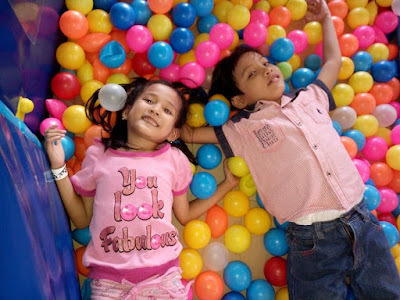 Active Fun provides an active, clean and safe space for kids to engage in fun, creative activities under the supervision of their qualified staff. 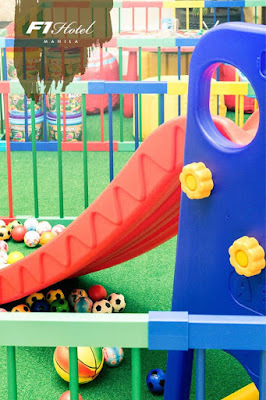 A place for toddlers and kids alike, they offer trampolines, hanging bridges, and giant slides, ensuring that your little one(s) will not get bored for even one second. Active Fun is also a great place to celebrate birthdays and special occasions for children. 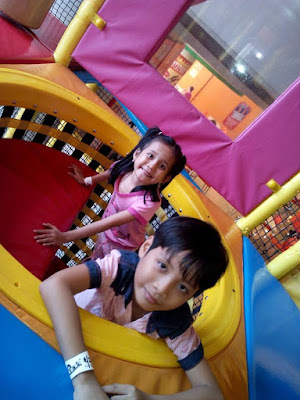 Active Fun is located at Active Fun Bldg., Bonifacio High Street, 9th Avenue corner 28th Street, Bonifacio Global City, Taguig. 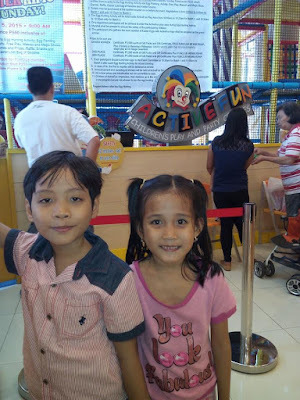 Picture first before entering the play area. They enjoyed going around the play area. My kids had fun at the slides. 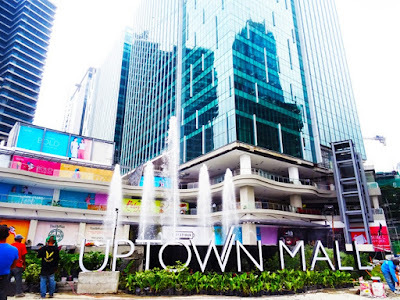 Have fun shopping at high-end boutiques and retail shops. Take a culinary trip from local to international cuisine when you explore the wide array of dining restaurants. Watch movie with the family via SM Aura's Director's Club, BHS Central's 4DX Cinema or Uptown Mall's VIP Cinema. After the strolling, playing and sight-seeing around BGC, you can check in one of the hotels around. Let me suggest you try F1 Hotel Manila. 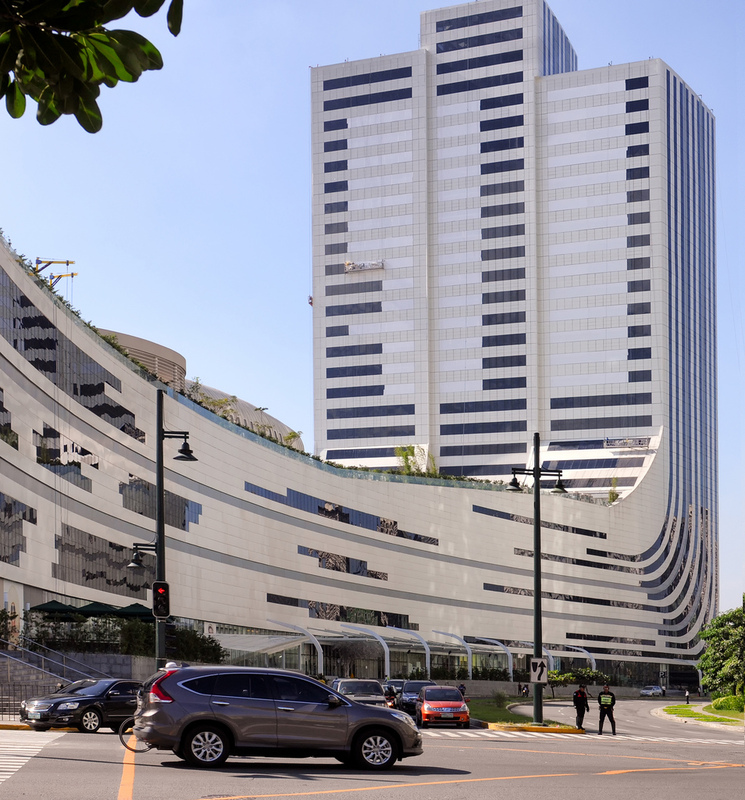 F1 Hotel Manila is the first hotel to open Bonifacio Global City in Metro Manila. It is located within walking distance to corporate offices, shopping malls, and recreational facilities. It offers modern rooms come with free WiFi, flat-screen TVs, full-size ironing board, an iron, hangers, a mini vault, hotel slippers, bathrobes, toiletries and some rooms have kitchenettes with microwaves and minifridges. Enjoy their casual restaurant serving international dishes, and a terrace lounge with 3 pools, spa services, a kid zone, and a 24-hour gym. Staycation at its finest. 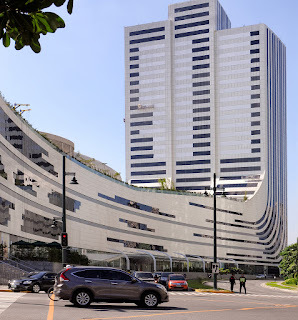 F1 Hotel is located at 32nd St, Bonifacio Global City, Taguig. 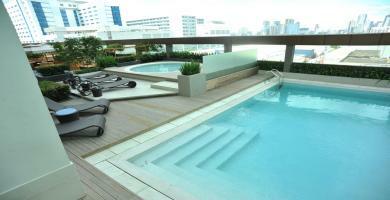 Relax and enjoy their swimming pool. Photo from F1 Hotel Manila website. Cozy bedrooms await the family. Photo from F1 Hotel Manila FB page. There goes my list of thing to do in Bonifacio Global City. I hope you enjoyed reading my post and will help you on your future travel here in Manila. Feel free to share your thoughts in the comment section below. Have a nice day everyone!